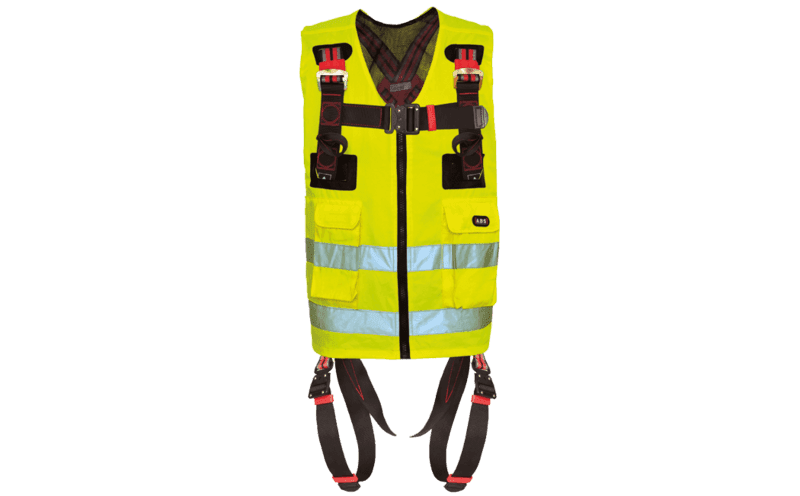 This easy-to-wear, high-visibility vest (one size) is combined with an integrated safety harness. 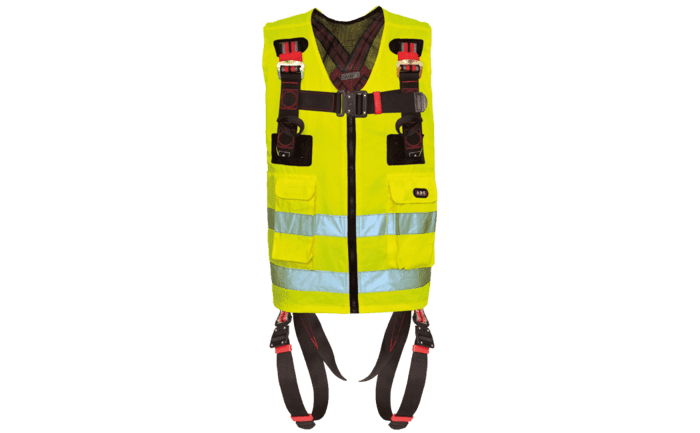 It can be individually adjusted to fit and has two anchorage eyelets at the chest (for correct positioning) and one at the back (for your arresting system). It also has additional pockets at the front which offer extra storage space for your tools and mobile telephone. Our ABS ComfortVest is not only a reliable safety harness but also doubles up as a high-visibility vest. 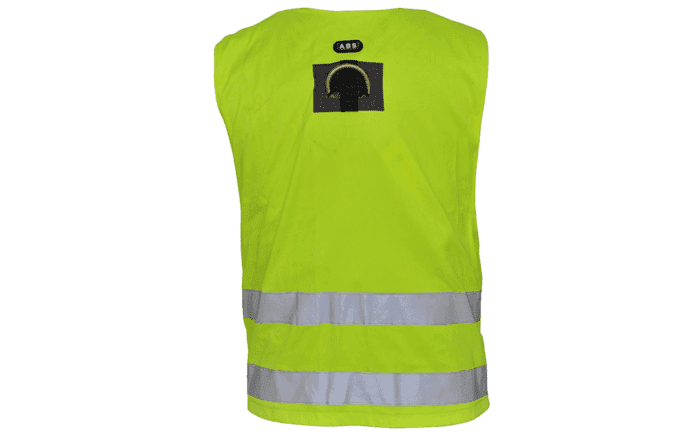 This safety vest is supplied in bright yellow. 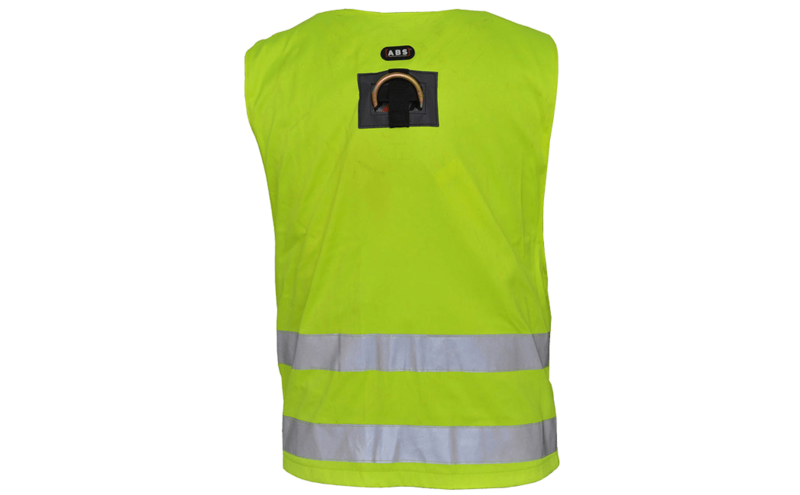 Its two additional reflectors ensure the best possible visibility - even in poor lighting conditions - PPE equipment that greatly increases your safety whilst you are working: An individual wearing this safety vest can be found much more quickly in the case of a fall so that appropriate rescue measures can be initiated within the shortest possible space of time. This special combination of safety harness and high-viz vest is also a winner when it comes to comfort: Thanks to its lightweight design, you will enjoy wearing this vest - even for longer assignments. 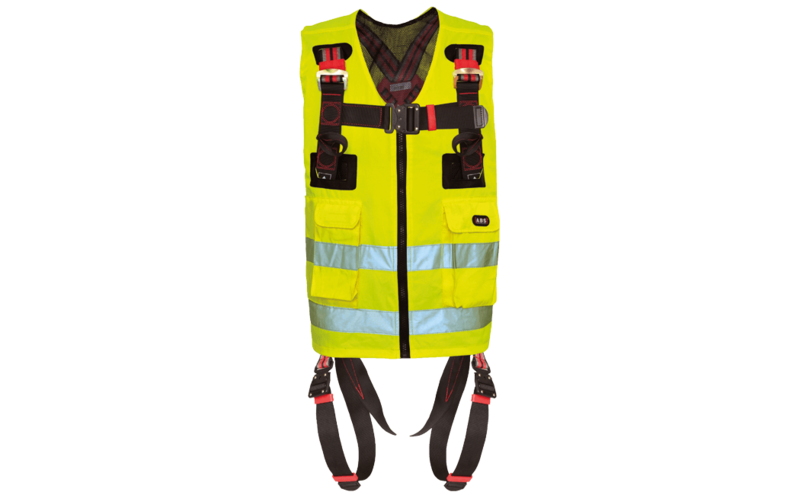 Practical quick release fasteners on the legs and at the chest allow you to put the vest on and take it off quickly. 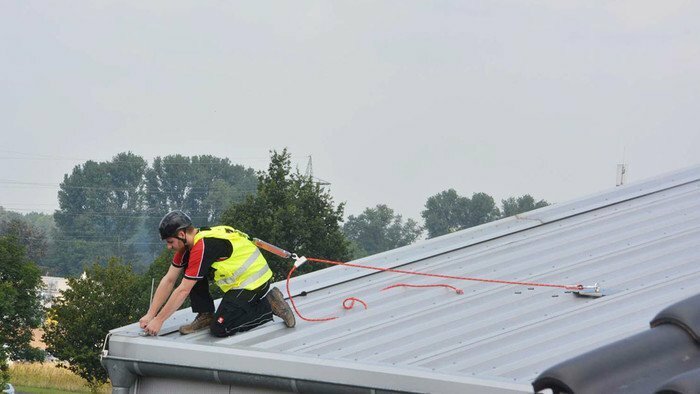 The straps can also be individually adjusted for a perfect fit. You can hook up your connector either at the chest (e.g. in the case of a vertical lifeline) or using the D-ring on the back. 2 large pockets with a Velcro fastener offer plenty of room for your mobile and small tools. 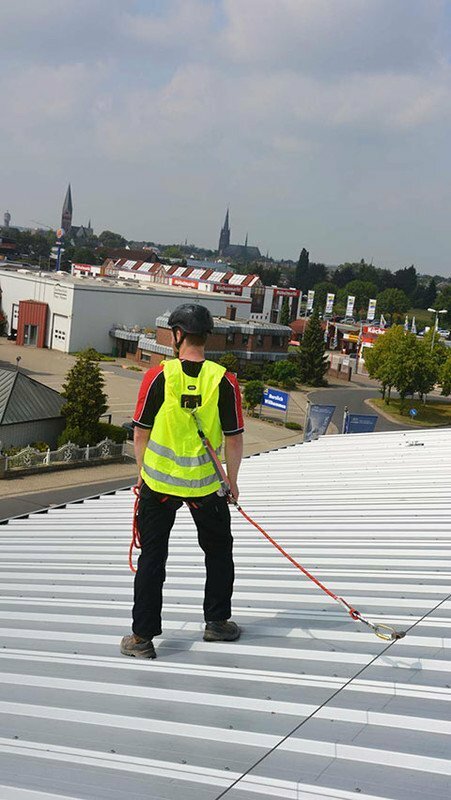 Our ABS ComfortVest is a certified PPE item/safety harness in accordance with EN 361:2002.